News > News > NYC Waterways > How do we revive two polluted corners of New York Harbor? Here are 135 ways. 03.15.18 :: Categories: NYC Waterways. News Types: Press Releases. How do we revive two polluted corners of New York Harbor? Here are 135 ways. NEW YORK – Riverkeeper, Newtown Creek Alliance, Guardians of Flushing Bay and the global architecture and design firm Perkins+Will’s New York Studio have unveiled detailed plans to restore, revitalize and transform two of New York City’s most important, but often forgotten, waterfronts – Newtown Creek and Flushing Waterways. The project is a first-of-its-kind planning effort in New York City, one that starts with improving the health of the water and ecosystem – restoring oyster reefs and marshes and wildlife, and building more natural, resilient shorelines – and expands into projects that foster recreation and connect neighborhoods with waterfronts that they’ve had too little access to. The initiatives outlined in the plans can be summed up in four R’s: remediation, restoration, recreation and resilience. Both plans – known as “Vision Plans” – will be available for viewing and download at www.riverkeeper.org/newtowncreek and www.riverkeeper.org/flushingwaterways starting Thursday, March 15. That evening, a launch event will be held at the Wythe Hotel in Brooklyn for community boards, elected officials and invited members of the press. Inspired by numerous community meetings and idea-sharing workshops, the plans are brimming with possibility: 135 opportunities to rehabilitate these neglected bodies of water, their shores and the communities they border. Each plan is grounded in data and expertise on local environmental conditions, and informed by cultural and historical knowledge. Some of the listed projects are already underway; some revive long-held visions, others related to ambitious but achievable goals. Oyster cages incorporated into pile fields on either side of a redesigned Grand Street Bridge. Improved pedestrian bridges (with landscaping, green infrastructure and separate bike and pedestrian lanes) that connect neighborhoods like East Elmhurst, Jackson Heights and Corona with the nearby but difficult-to-reach waters of Flushing Bay, where parking lots and highway ramps dominate. The plans are ambitious, but also doable, with the combined efforts of city parks and transportation officials, commercial property owners, academic and cultural programs, and grassroots advocates – all of whom contributed to the planning effort. Once implemented, the plans would restore native salt marsh habitats, make the shores more accessible to the public for recreational activities, spur economic growth by creating employment opportunities, and help protect the areas from potential future floods and rising sea levels. Newtown Creek, located just across the East River from Midtown Manhattan, occupies an area of about 1,000 acres between Brooklyn and Queens. Flushing Waterways span 600 acres between LaGuardia Airport, Willets Point, downtown Flushing and Flushing Meadows Corona Park. Newtown Creek has suffered from over a century of industrial contamination, including decades of oil seepage and chronic sewage overflows. America’s first oil refinery began operations along its banks in 1867, and the creek soon became one of the most heavily used — and polluted — waterways in the Port of New York. Today, the creek contains large amounts of various toxins within its sediments and is surrounded by numerous sources of upland contamination including the largest underground oil spill in U.S. history. In 2010, Newtown Creek was made a part of the U.S. Environmental Protection Agency’s (EPA) Superfund program, through which the federal government manages toxic site remediation. Perkins+Will’s and Riverkeeper’s plan for the creek — which also received substantial input from the grassroots organization Newtown Creek Alliance — is intended to help the community prepare for the remediation and set broader social, environmental and economic goals. Solutions include stormwater infrastructure and habitat restoration, new public space, industrial redevelopment, and flood protection. “Our focus was to outline transformative paths for Newtown Creek; ways to generate greater habitat, community access and sustainable use for decades to come. 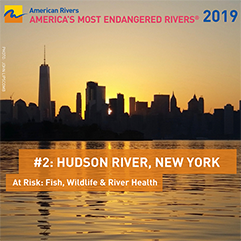 We hope the plan is an inspiration to local communities and to other urban waterways,” said Willis Elkins, program manager at Newtown Creek Alliance. Other community ideas that had been previously pursued – such as the transformation of abandoned street-end areas into lush public spaces and the restoration of salt marsh within shallow tributaries – were also resurrected and further fleshed out as part of the plan. Riverkeeper is grateful for the support of the funders who made these Vision Plans possible: the Doris Duke Charitable Foundation, The JPB Foundation, and the New York-New Jersey Harbor & Estuary Program. We also want to acknowledge our donors who generously support our efforts in New York City broadly, including the Lily Auchincloss Foundation and the Sun Hill Family Foundation. The Visioning project itself could not have happened without the many partners who lent their unique voices, input, time and energy to the process, including Newtown Creek Alliance, Guardians of Flushing Bay, Waterfront Alliance, SWIM Coalition, Billion Oyster Project, LaGuardia Community College, Queens College, numerous New York City agencies and local officials, and dozens of local organizations in and around Flushing Bay and Newtown Creek. The Newtown Creek Alliance is a community-based organization dedicated to restoring, revealing and revitalizing Newtown Creek. The organization works to restore community health, water quality, habitat, access, and vibrant commerce along Newtown Creek. Since 2002, the Alliance has served as a catalyst for effective community action, making a positive and enduring impact on the health and quality of life of Creek-side communities. For more information, visit http://www.newtowncreekalliance.org/. The Guardians of Flushing Bay are a coalition of human-powered boaters, environmental enthusiasts, community members, and advocates working toward a clean and healthy Flushing Bay in the Borough of Queens, New York City. The Guardians’ mission also includes fighting for accessible and inviting waterways—from the Flushing Bay promenade and World’s Fair Marina to Flushing Creek and College Point. These “Flushing Waterways” are the public’s space, and the Guardians seek to ensure that the public can make full and sustainable use of this historic waterfront ecosystem. The Guardians was founded in 2015 by members of the Empire Dragon Boat Team, which practices on the river. 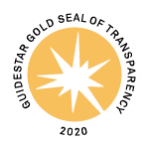 The Guardians are incorporated within the State of New York, federal nonprofit status is pending. For more information, visit https://www.facebook.com/GuardiansofFlushingBay/. Perkins+Will is an interdisciplinary, research-based architecture and design firm established in 1935. Founded on the belief that design has the power to transform lives and enhance communities, we collaborate with clients all over the world to create healthy, sustainable places in which to live, learn, work, play, heal, move, and explore. More than 2,200 professionals across over 20 Perkins+Will design studios include some of the brightest minds in architecture, interior design, branded environments, urban design, and landscape architecture. Clients consistently turn to us for our leadership and expertise in areas like sustainability, resilience, health and wellness, and mobility. Additionally, our Research Labs catalyze innovative design technologies and solutions that result in better, smarter, more competitive built environments. In 2018, were named one of the World’s Most Innovative Companies in Architecture by Fast Company, and we are consistently ranked among the world’s top design firms. Our family of partner companies includes retail strategy and design consultancy Portland; sustainable transportation planning consultancy Nelson\Nygaard; healthcare technology planning firm Genesis; and luxury hospitality design firm Pierre-Yves Rochon (PYR). For more information, visit www.perkinswill.com. The New York studio of Perkins+Will has a long history of leadership in design, practice, and environmental stewardship in the Northeast region and beyond. The multiple-practice office is renowned for its strengths in the design and execution of major architecture, interiors, and planning projects, including branded environments. A broad range of clients have worked with the New York office, from such market sectors as corporate/commercial, civic, healthcare, higher education, K-12, and science/technology. The New York office also functions as the center of the firm’s innovative strategic workplace planning practice. Healthcare architecture and interior design are a longstanding focus for the office, comprising nearly half of its typical output. The New York office is led by architects, interior architects, interior designers, and workplace strategists, and nearly all are LEED Accredited Professionals. The office environment is a collaborative workplace with a commitment to delivering innovative design solutions that support client goals. The studio is LEED-CI Gold certified and located in New York’s Union Square neighborhood.